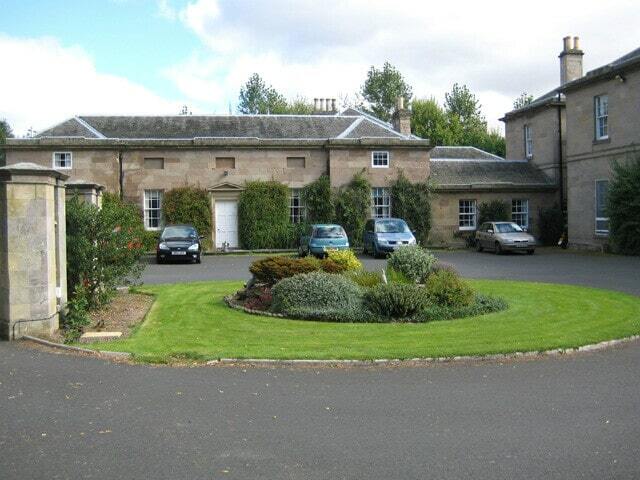 Set in 11 acres of magnificent gardens in the Berwickshire countryside, Lennel House provides residential care for older people and adults. Half a mile from the town of Coldstream in the Scottish Borders, the home’s picturesque location offers stunning views over the River Tweed and Cheviot Hills which both residents and relatives can enjoy. The house was originally built around 1820 and its impressive architecture and features have been retained, whilst providing all of the modern equipment and facilities required by our residents with limited mobility and other specialist needs. At the home we cater for a variety of care needs these being dementia, residential and respite care. We can cater for 38 clients with all of our rooms being single occupancy although shared rooms can be accommodated on request. The setting and home has to be seen to be appreciated as no two rooms are the same and this is why viewing the rooms is essential to appreciate the environment. We have four lounge areas and can have three dining areas. Lennel has a vast history but the most notable piece of history is in relation to Beatrix Potter who stayed for a summer at the house over 100 years ago and it is known that this is where she was inspired for her famous character “Peter Rabbit”. As tribute to this we have recently converted the bedroom she stayed in into “the Beatrix Potter coffee room” for the residents and the relatives to use and contains pictures of her work and herself. Another new facility that the home is now providing is the Lennel in-house shop which incorporates the local newsagents running a shop once a week for residents to purchase items within the comfort of their own home. Lennel has an on-site hair salon which is very popular. We have our activities co-ordinator who arranges all our events throughout the year but also ensures that each resident is involved in meaningful activities. The home is always available for viewing or should that not be possible and you have any questions, please contact the home and the staff will assist you with your enquiry. Thank you for taking the time to read about our stunning home.